The word “evangelical” has taken on negative connotations in many circles. While it has traditionally been used (in the United States) to designate conservative Protestants who are Biblicist in their reading of the Bible (insists that the Bible is inerrant/infallible) and believe that one’s salvation is dependent on affirming Jesus as one’s savior and lord. In recent decades, it has come to designate persons of conservative political commitments, with strong focus on two social issues (abortion and gay marriage). Now, it is used to describe Protestant supporters of Donald Trump (the so-called 81% of White Evangelicals who are alleged to have supported his candidacy). While it is true that many evangelicals are among Donald Trump’s most fervent supporters, I’ve become increasingly uncomfortable with the development of this stereotypical view of evangelicalism. In my experience, evangelicalism, including white evangelicalism, is much more diverse politically and even theologically than the stereotype would allow. I am a left-of-center pastor of a mainstream/mainline Protestant church. I am also the graduate of the largest evangelical seminary in the world (M.Div. and Ph.D.). I may be more “liberal” than many evangelicals, but there is something valuable in my background that I want to retain. I also know that the stereotype doesn’t fit everyone. I doubt, for instance, there were many Trump supporters among the faculty of Fuller Seminary. There is much of value within the evangelical tradition that I think is worth engaging with, for part of who I am is rooted in this tradition. 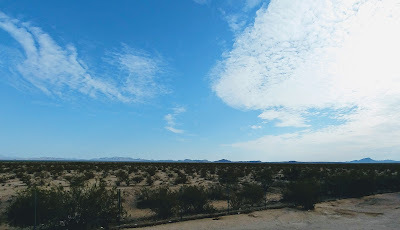 Among the contributions of this part of my journey was a deep and abiding appreciation of the Bible and its normative witness for the life of the church. I also gained an appreciation for the importance of sharing one’s faith with the world. If there is a light given to us, then we should not hide it under a bushel. To be an evangelical, in my mind, is to proclaim the good news of Jesus Christ to the world in word and in deed. The word evangelical derives from the Greek word euangelion, which is often translated as good news. Surely that is the calling given to the church—proclaiming good news to the world so that the nations might be blessed. In Matthew’s Gospel, after being baptized by John at the Jordan and spending time in the wilderness testing his faith, Jesus retreated to his hometown in Galilee. Only after John the Baptist was arrested did Jesus go down to the Sea of Galilee and begin preaching. Like John before him, Jesus called on the people to repent (to turn around their lives), and commit their lives to the service of God, because the “Kingdom of Heaven has come near” (Matthew 4:12-17). As Jesus went around the region preaching, he invited others to join him in his evangelical mission. He started by inviting four fishermen to leave their nets and the security of their employment to join him in fishing for people. Matthew tells us that Jesus and his disciples went around Galilee, “preaching the good news of the kingdom and curing every disease and every sickness among the people” (Matthew 4:18-23). That is the evangelical imperative—preach the good news and bring healing to body, soul, and even to the community itself. My denomination defines its own calling as being a “movement of wholeness in a fragmented world.” That seems in line with this evangelical calling. One of the leading exponents of this vision in the eighteenth century was John Wesley, who with his brother Charles, helped found the Methodist Movement. Methodism was then part of the evangelical wing of the Church of England. 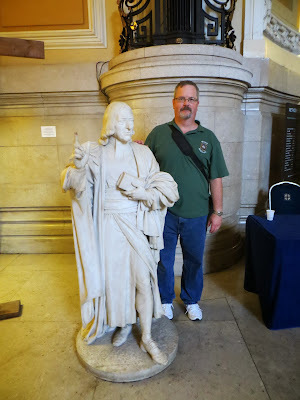 During a sabbatical trip to England in 2013 I had the opportunity to stop in at the Methodist Central Hall in London, even having my picture taken with a life-sized statue of Wesley. I bring up Wesley because he strongly believed that the church is called to reach out beyond its walls to touch the lives of people who are living outside the community. He caused quite a stir in his day because he went out into the fields and public squares and preached to all who would listen. This was seen by many as undignified. Critics from within his own church called it “enthusiasm.” Wesley continued to pursue this evangelical vision because he understood the missional impulse that the church doesn’t engage in mission, it is mission. Therefore, a church that focuses on maintenance isn’t really the church of Christ. Many mainline Protestants find evangelism rather off-putting. Perhaps it is because they have been buttonholed at some point and had a religious message forced on them. For some it may have to do with their upbringing in more conservative churches, which taught that outside the fold there was no salvation. Whatever the reason, they shy away from sharing their faith. Religion is private not public. After I came to Central Woodward we engaged in the study of two books written by Martha Grace Reese—Unbinding the Gospel and Unbinding Your Heart—in which Reese sought to help mainliners recover their public voice so that we as a congregation could better fulfill our evangelical/missional calling. In Luke’s second volume, the book of Acts, he gives an account of Jesus’ final conversation with his followers. The disciples ask him if he’s going to “restore the kingdom to Israel.” They still are waiting for him to throw out the Romans and reestablish the Davidic kingdom, or so it seems. For his part, Jesus tells them not to worry about such things. The mission he is going to give them involves receiving “power when the Holy Spirit has come upon you; and you will be my witnesses in Jerusalem, in all Judea and Samaria, and to the ends of the earth” (Acts 1:8). The Book of Acts is built on this principle. After the Spirit falls on the church at Pentecost, giving them power and courage, they begin to preach the good news of the kingdom, starting in Jerusalem, and then moving outward into the rest of Judea and then Samaria. From there the mission extends to the ends of the earth. Although the Book of Acts ends with Paul in a Roman jail, Luke leaves the story open so that those who come after him can continue write this story. In doing this, the church continues to embrace the covenant calling made with Abraham and Sarah; that through their descendants the nations would be blessed. If we use Acts 1:8 as a guideline for mission, we could see our own communities as the starting point for mission that moves outward from the local congregation to the ends of the earth, so that we can be a blessing to all the families of the earth. We all know that stereotypes are dangerous. We turn to them to help us make sense of our world, but too often the lead us to prejudge people. I’m reading a book right now on hospitality, written by an evangelical, teaching at a seminary more conservative than the one I attended. So far, the message is one of full welcome to all, especially the marginalized and the immigrant. It’s a message that I can fully embrace. With this in mind, I’d like for us to slow down a bit and recognize that not all evangelicals are the same, any more than folks from any party are the same. As for me, because I desire to be engaged in the mission of God, I would like to retain this “label” for myself. I know that sometimes words become so corrupted that they become useless. I hope that this is not true of evangelical. It’s a good word. Good, and thought provoking post, Bob. Sadly, for me, and I think many others, the question is not whether the word "evangelism" has become so corrupted as to be useless, but whether Christianity has become so corrupted as to be virtually useless. Sadly, I say. I suspect the label of "evangelical" has been lost to the conservative faction. The fact that it once had a broader, more inclusive membership is no longer relevant. The previous comment on corruption is more of a concern, that the politically compromised evangelical community has been allowed to grab the mantle of media control in the American Christian community is deeply problematic. This faction is like the Jewish leaders who copied up to Herod and Pilate, seeking favor and power, while turning a blind eye to the tyrant's immorality and outright psychopathology. This is the faction that worked hard politically to suppress and oppress the poor, the marginalized, and ultimately the followers of Jesus. This faction claims to pray for and even with the political leaders of their day, and that is good, but they should never have allowed themselves to be caught up in the business of defending the immoral and indefensible. They should never have allowed themselves to caught on the side of those who seek to further and / or increase the oppressions and depredations of the "least of these" whom Jesus explicitly sought out and defended to his death. This corrupt faction within the Christian Community constitutes a failure within the Body, a failure to which the larger American Christian community must respond - and must keep responding. For the vast majority of Christians living our faith is about loving God (not a book), loving neighbor (not a bunch of equivocal rules) and about following Jesus. Dogma is a matter of human interpretation, while embracing the love which Jesus exemplified and commanded is a lot simpler message, and a lot less subject to whims of human interpretation.